The Moscow Food Co-op is pleased to announce the return of Tasteful Thursdays, the series that showcases and highlights the sights, sounds and most importantly, tastes of the holiday season on the Palouse. Each Thursday between November 1 and December 20 — but excluding the week of Thanksgiving — guests at the Co-op will be introduced to beer brewers, winemakers, and others whose products are featured on Co-op shelves. Thanks to the Co-op’s newly-remodeled layout, each shopping trip will become an adventure for the senses as guests move from station to station, sampling seasonal favorites and listening to festive local music. This year, as part of Tasteful Thursdays, the Co-op will also celebrate the completed store remodel project. On November 8, three tours will take guests behind the scenes of the Co-op’s daily operations at 5, 5:45, and 6:30 p.m., showcasing the newly expanded storage, updated floor plan, new interior fixtures, and more. 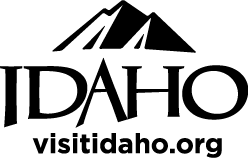 Participating vendors include Idaho favorites like Colter’s Creek Winery from Juliaetta, Laughing Dog Brewing Company from Ponderay, and Sheppard’s Fruit Wines, from Harrison. The public is encouraged to come to the Moscow Food Co-op each Tasteful Thursday to enjoy live music while sampling a variety of local wine, beer, and more from local creators. For more information, please visit www.moscowfood.coop or call 208-882-8537. The Moscow Food Co-op was established in 1973 by friends Rod Davis, Jim Eagan, and Dave and Katie Mosel. We are guided by our 7,400 owners and welcome anyone to shop in our store. We are governed by a democratically elected seven-member Board. Both the story of our Moscow Food Co-op’s past and future are rooted in the cooperative values and principles as expressed through the International Cooperative Alliance. For over 40 years we have promoted our cooperative identity by being good stewards of the earth and each other. Through providing healthy food, we have created a healthier planet and a stronger, healthier community. We have built our cooperative community based on the recognition that we are stronger together. As noted by the International Co-operative Alliance, "Co-operatives are based on the values of self-help, self-responsibility, democracy, equality, equity and solidarity. In the tradition of their founders, co-operative members believe in the ethical values of honesty, openness, social responsibility and caring for others." The Moscow Food Co-op located at 121 East 5th Street in Moscow, Idaho, and is open every day from 7 a.m. to 9 p.m.